If you are an antique and collectables lover, a junk shop fossicker, an upcycler, a vintage and retro fan, an op shop connoisseur or all of the above then you won't want to miss the Wellington Antique and Collectables Show. This will be a showcase of collections with sales tables, cafe and exhibits. 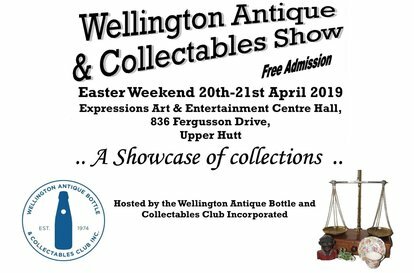 Proudly hosted by Wellington Antique Bottle and Collectables Club Incorporated.